The Raid Alps cycling challenge will take you from Thonons-les-Bains to Nice. Get ready for the stunning roads and demanding climbs of the Alps as you pedal for six days, covering 750 kilometers. Bike Basque will take care of all the organization and logistics so that you may focus on precisely what matters most, enjoying your cycling holiday. Arrival in Thonon les bains, customized pick up at your arrival location can be arranged. Introduction to the Bike Basque staff, go over the schedule, route, safety as you complete the Raid Alps, and respond to any questions left unanswered. Gift bags that include a Bike Basque cycling jersey, water bottles and road book will be distributed to each guest, and for those who have chosen to rent a bike from Bike Basque, we will assist in setting it up to your specs. After yesterday’s verbal introduction to your Raid Alps cycling challenge, today, you will enter straight into cycling folklore as you confront the first mythical climb of this trip, the steep Col de la Colombiere. 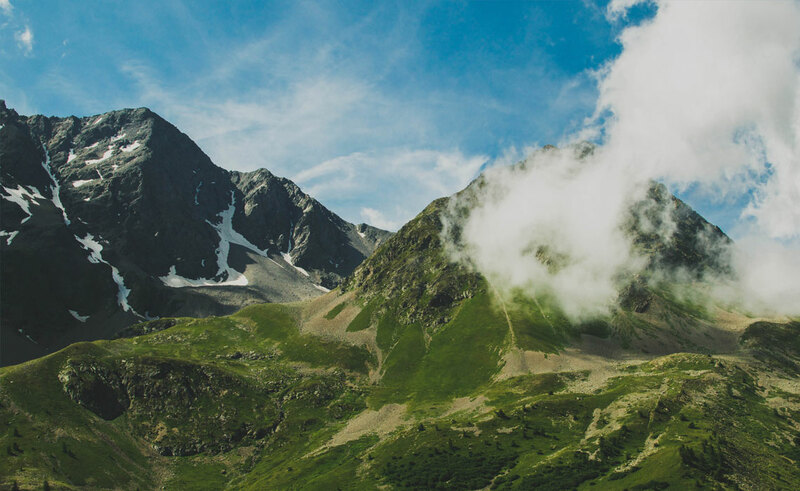 The ascension of the Col des Avaris will bring your first day in the Alps to a close. The Col des Saisies is a great first climb to warm you up for the day’s challenges. It has a good road surface and is long enough to prepare you for the Cormet de Roselend, one of the longer climbs in the Alps. As you pedal along near the top, you will have the chance to admire the fantastic Lake de Roselend, located at approximately 1,600 m of altitude. Today’s ride is positively the most legendary of your entire Raid Alps cycling challenge. You will be climbing the long Col de la Madelaine, then the Glandon, and finishing with the 21 famous switchbacks of Alpe d’Huez. Tonight, you will definitely deserve a hearty dinner and good night’s rest! The longest, and most likely, the hardest day of riding of this Raid Alps cycling adventure, you will be pedaling a minimum of 140 km, with 52 kilometers of that total distance dedicated to climbing. The day begins with the wide-open roads of the Col du Lautaret. Next up, the Izoard and its “Casse Déserte”, a daunting and barren landscape that takes over in the final kilometers of this demanding climb. And the day concludes with the sporadic percent grades of the Col de Vars, so get ready for a few steep sections as you make your way to the top. Today you will confront more of the highest-paved roads in Europe as part of your Raid Alps cycling adventure. 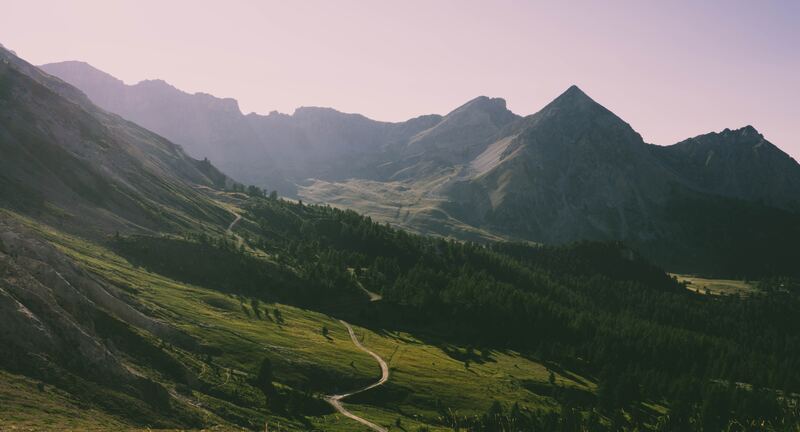 Your legs will first face the long and somewhat rough roads of the Col d’Allos before ascending the steep Col des Champs. Both of these mountain passes rise above 2,000 m in altitude and are generally very light on traffic. Welcome to the last day of your Raid Alps adventure. The Mediterranean climate of the Var region means more arid terrain as we pedal along today’s smaller secondary roads. There are no significant or extremely long difficulties, but the day will be spending navigating up and down some tricky climbs as we make our way to Nice on the beautiful French Riviera, otherwise known as the “Côte d’Azur”. -8 days/7 nights accommodation in quality 2 or 3 star hotels.